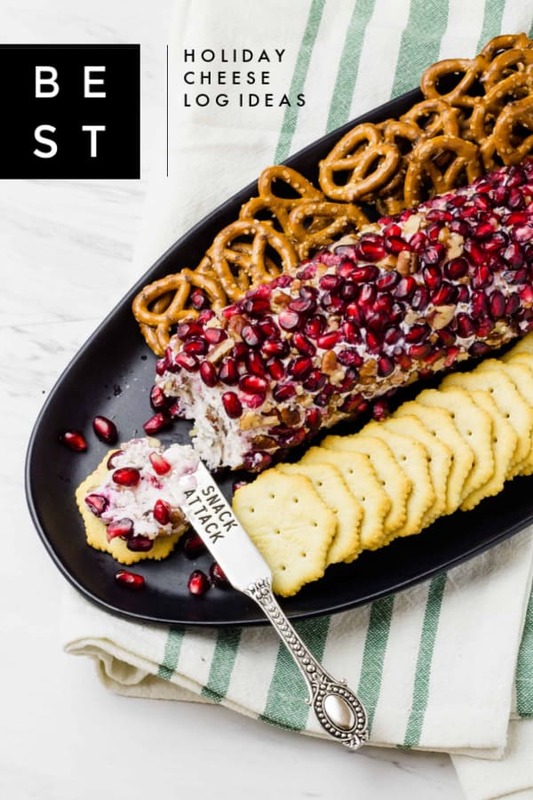 Looking for the best cheese balls and cheese logs to make for your holiday party? 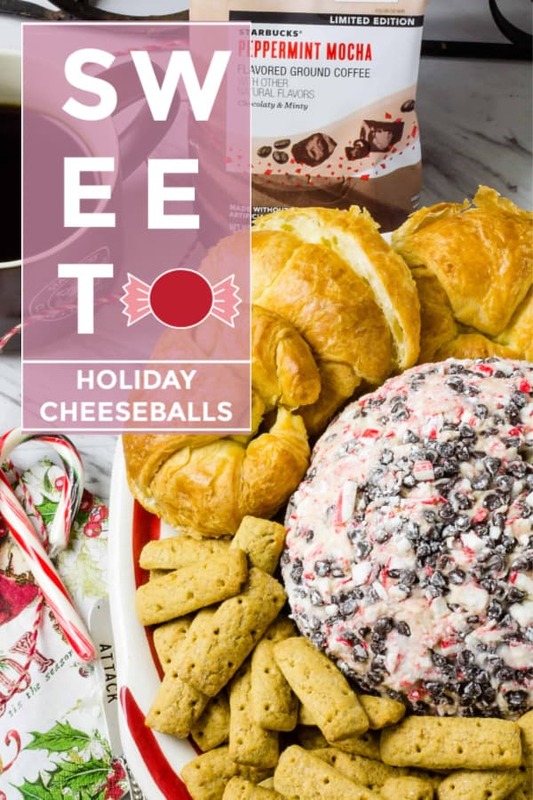 Here is a collection of the festive sweet and savory cheese balls and cheese logs to fit ANY holiday celebration! 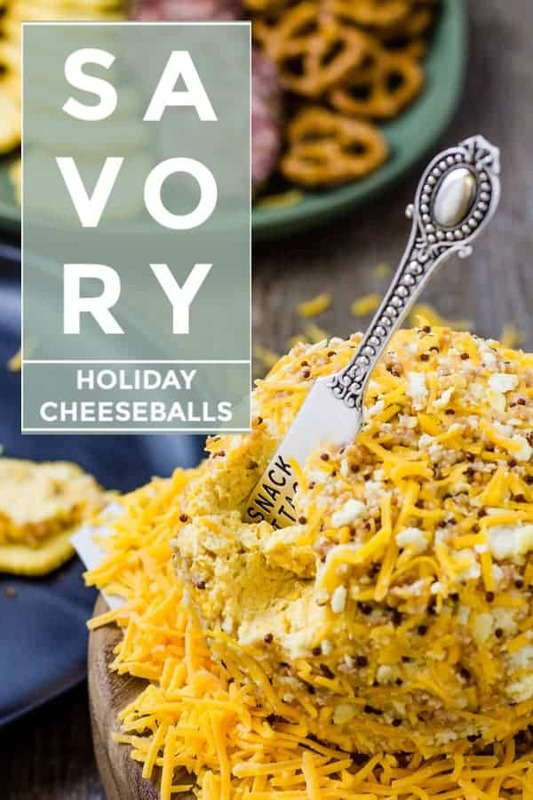 You can’t have a party without a cheese ball and every holiday celebration can use a party. These savory cheese balls will fit your every need and satisfy all your party guests! Christmas Ornament Cheese Balls – A gift or an appetizer for the holidays! A cheese ball isn’t just for an appetizer or a regular buffet table, they are great for dessert too. These sweet cheese balls are perfect for satisfying your sweet tooth and that of your guests. They also make great gifts! Cheese balls are great but they are even more fun in bite-sized portions and served on fun edible sticks like pretzels. Check out this great list of mini cheese balls! Hot Pepper Jelly Cheese Ball Bombs – Spicy and perfect for Christmas & New Year’s Eve! Cheese Ball Bites – Christmas Colors – Festive colors make these perfect for Christmas. Mini Cheese Balls – Perfect and deliciously simple. 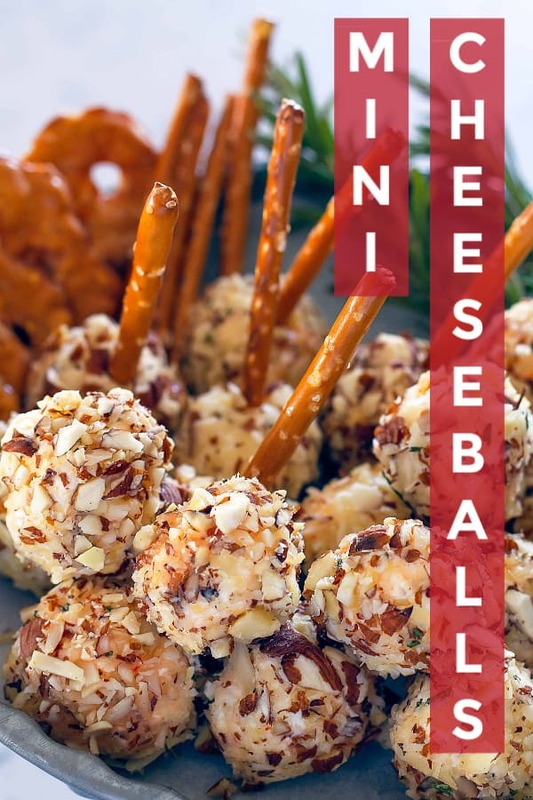 3 Killer Mini Cheese Balls – You can never have too many cheese ball recipes on hand for a holiday. Sesame Mini Cheese Balls – Sesame adds great texture and crunch. Jalapeno Cheese Balls – Even the cool winter holidays need a little spicing up. Cranberry Pecan Mini Cheese Balls – Cranberries are perfect for the holiday. Turkey Cheese Bites – With a turkey shape you will gobble these up at Thanksgiving! Got too much cheese for a cheese ball? Maybe you want to try a different shape to your appetizer plate… These savory cheese logs are just as tasty and delicious as any cheese spread around! Even a cheese log can be sweet and dessert-like. These holiday ready sweet cheese logs are ready to be molded into a variety of festive shapes to suit your occasion! 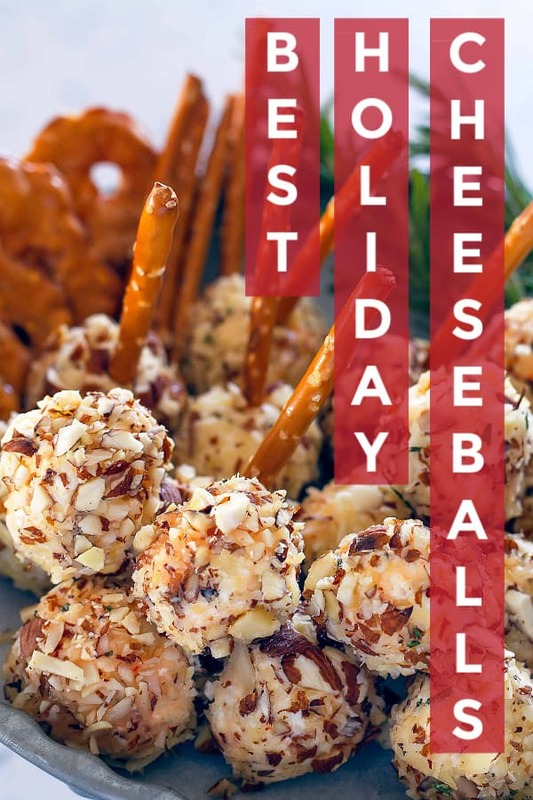 I hope you have found a new favorite cheese ball this list of holiday cheese balls and cheese logs! Pin it to your favorite board to keep for years to come! « Christmas Snack Platter – Ultimate Dessert Board for Kids and Adults!